Cherry Mobile revives its back to school program through its Corporate Social Responsibility (CSR) arm in time for the school opening this June. 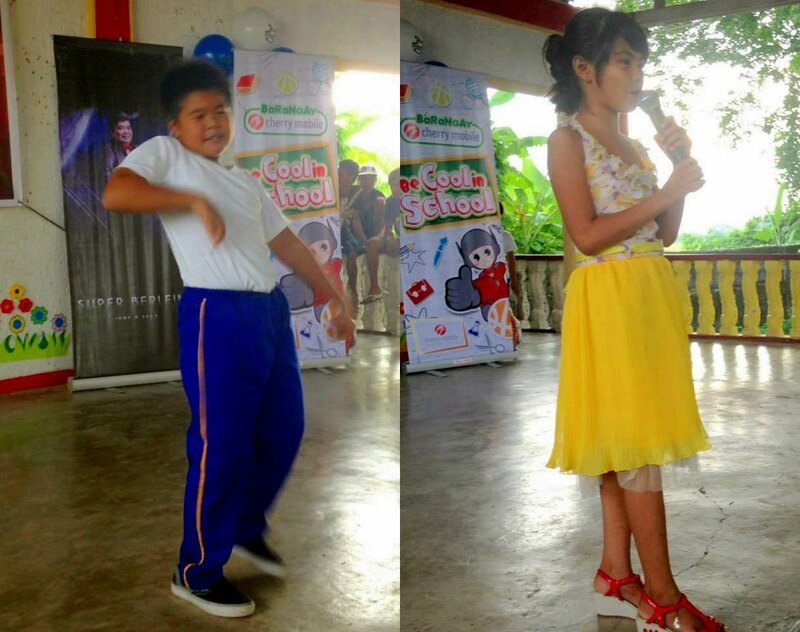 Cherry Mobile focused on two back-to-school projects, namely the 2013 Brigada Eskwela and its own Be Cool in School project. The opening of the 2013 Brigada Eskwela was star-studded as Cherry Mobile supported brand ambassador Anne Curtis to the kick-off ceremonies held at the Philippine National School for the Blind (PNSB). Tinajeros Elementary School (TES), a school in the city of Malabon, also welcomed Cherry Mobile in its Brigada Eskwela activities. 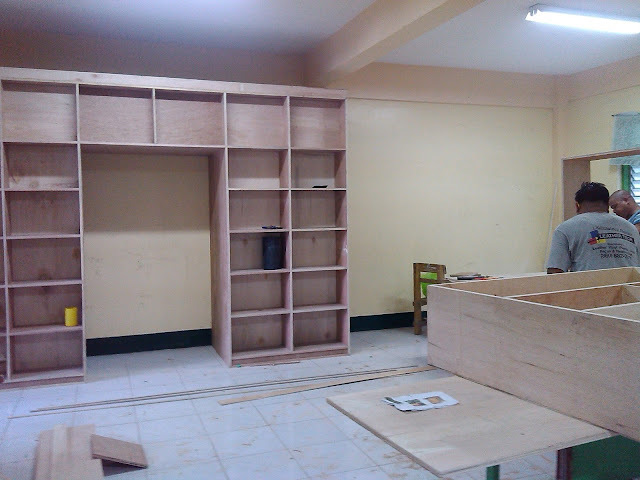 Cherry Mobile helped TES build a new library which will be used to house the five hundred-thousand-worth of books donated to the school. Thirdly, volunteer employees from Cherry Mobile took time off work to repaint the Computer Room of Philippine School for the Deaf (PSD). Anne Curtis joining the symbolic painting of a wall during the opening ceremony of 2013 Brigada Eskwela. This is one of the cabinets in the new library of Tinajeros Elementary School which will hold hundreds of the 500,000-worth of books donated to the school. CM employees pose with staff of the Philippine School for the Deaf on Cherry Mobile’s scheduled day to repaint the Computer Room of the school. CM volunteers stayed until afternoon to complete the final touches to the repainting of the classroom. Be Cool in School was birthed under the community-oriented Barangay Cherry Mobile program to help students in poor communities stay in school for the rest of the academic year. It is a fact that many children especially in the provinces do not go to school because their parents could not provide them basic school supplies. To help solve this problem, Barangay Cherry Mobile gave Be Cool in School backpacks laden with notebooks, pencils or ballpens, and sharpener to pupils of selected public elementary schools. Volunteer employees spent time carrying boxes of backpacks and school supplies to communities where help is least extended. At the end of June, the Be Cool in School project has been to Tagpos and Pila-Pila (Binangonan, Rizal), Philippine National School for the Blind (Pasay City), Puray (Rodriguez, Rizal), Talim Island (Binangonan, Rizal), Apalit (Pampanga), Dona Remedios Trinidad (Bulacan), Lucena and Tayabas (Quezon Province). Barangay Cherry Mobile also gave away food packs to families along with the backpacks in selected communities. A talent contest was also held in some of the elementary schools, where mobile phones served as prizes. Pupils of Macario Arnedo Elementary School showcased their talents during the Be Cool in School activity. Volunteers from Cherry Mobile and CM dealer Viewers Telecom with the pupils of Ilasan Elementary School in Tayabas, Quezon Province, after the distribution of Be Cool in School study kits. Cherry Mobile seeks to reach more communities in provinces not just in Luzon, but also in Visayas and Mindanao through Be Cool in School, with the hope that as it maximizes its resources to help meet the needs of these pupils, more and more children will gain the inspiration to value their schooling and not lose hope no matter what condition they may find themselves in.